Using technology and a personal, innovative, common sense approach; THC has devised a unique formula to provide maximum exposure to ensure all available physician talent is aware of your dynamic opportunity. 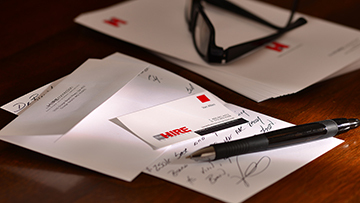 We would like to learn more about your recruitment goals and share how The HIRE Connection can have a positive impact on placement and retention of key providers at your facility. Call 866.661.4473 to schedule a free consultation. “I like that you are from the Midwest, and I get a different kind of feeling than other firms were giving me. I guess it was just a great vibe and I was sold on it”. Below are samples of what we provide every partner—only a fraction of what we do on clients’ behalf. Click the links to view samples of our opportunity landing pages and youtube videos. Fill in the fields below then click the submit button. One of our dedicated marketers will contact you promptly with further information on how we can help fill your healthcare recruitment needs.